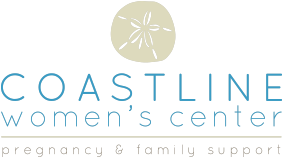 Coastline Womens Center is a pregnancy medical center located in Conway, SC. Coastline’s beautiful coastal facility has been created to give you compassionate support, safety, and skilled assistance before, during, and after your pregnancy. We understand that from the moment you suspect you may be pregnant, you are entering a time of great uncertainty and that you have many hard decisions to make. Your physical and emotional safety are our priorities, and we gently guide you through every step of your journey. All of our services are Free and Confidential. We can also make referrals for any additional services you need. Coastline Womens Center is a nonprofit 501(c)(3) nondenominational pregnancy medical center committed to helping both women and men before, during, and after unexpected pregnancies.